America’s leading car manufacturer, Ford Motors sees a massive downfall in its net income of more than $1.4 billion in the first quarter of this financial year. The operating profit of Ford Motors tumbled down by $544 million, whereas the net income trickled down by a massive $1.2 billion in the Q1 of 2012. These figures are way too disappointing as compared to the Q1 of last year. The major reason behind such huge decline was the sluggish economic condition in the European markets. On such performance of the firm, the CEP and president of Ford, Mr. Alan Mulally said that the firm managed to deliver a solid performance in this quarter, especially in North America. In spite of such sluggish and poor economic condition, the company has shown a positive performance. Ford India will keep itself focused on investing for future development and growth. The company will manufacture and offer some top-class products, which are built with high quality material and sport features such as higher fuel efficiency, high safety and will come with smart design and would be value for money. This time around, the profit of Ford India in the European market was about $149 million, which is much less than $293 million that was registered during the same period in last year. However, Ford Motors still manage to bring up some impressive figures in North America since the year of 2000 to a whopping $2.1 billion, which is $289 million higher if compared to the profits in the first quarter of 2011. In Indian car market as well, Ford is considered one of the strongest car maker and has been successful in offering wide range of cars to he Indian consumers. 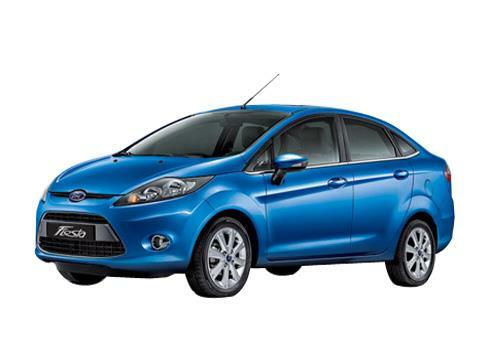 Some of the popular cars of Ford in India comprise of Ford Fiesta and Ford Figo.